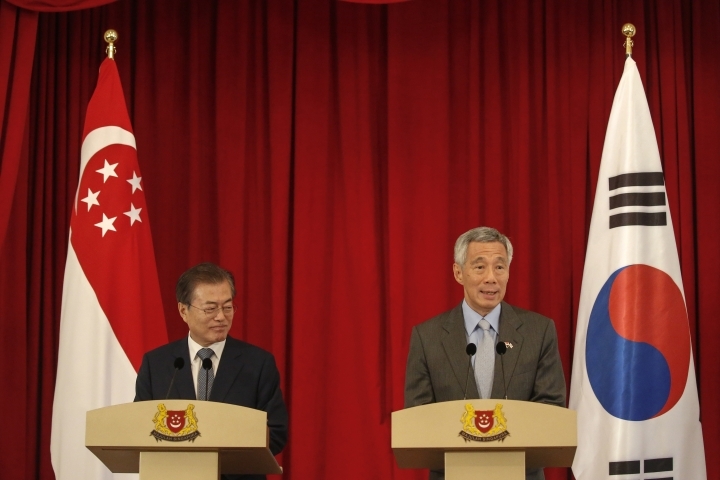 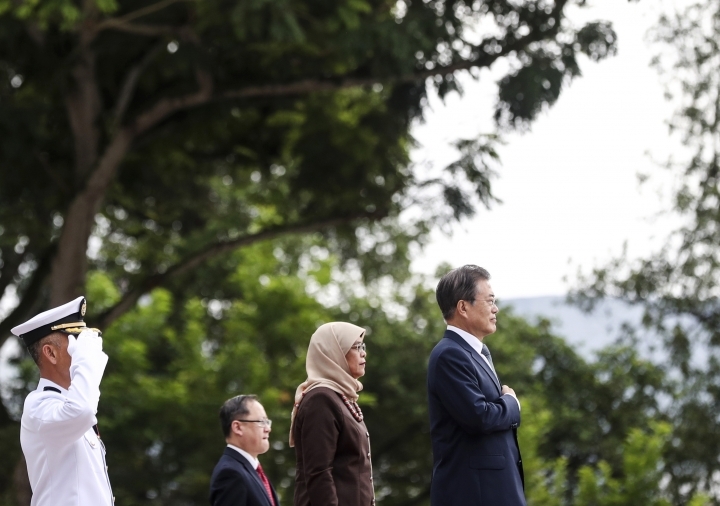 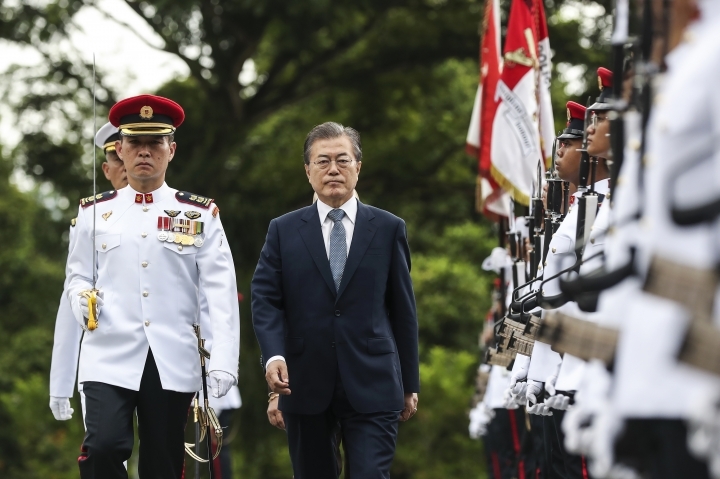 SINGAPORE — South Korea's president has pledged to increase trade with Singapore as part of a strategy to raise its economic influence in the region. 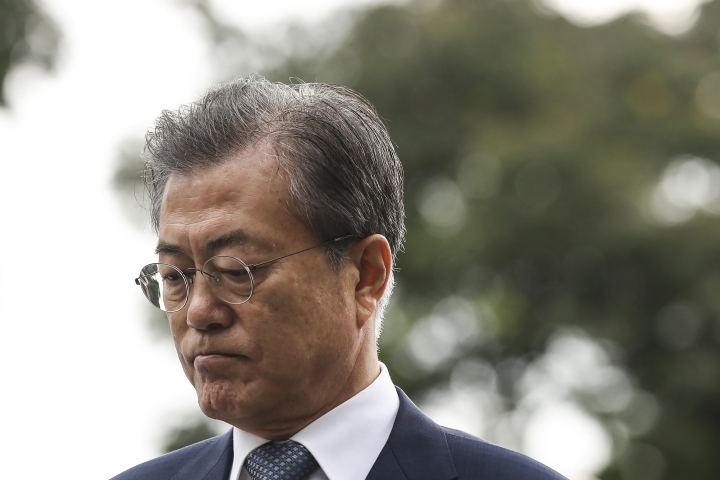 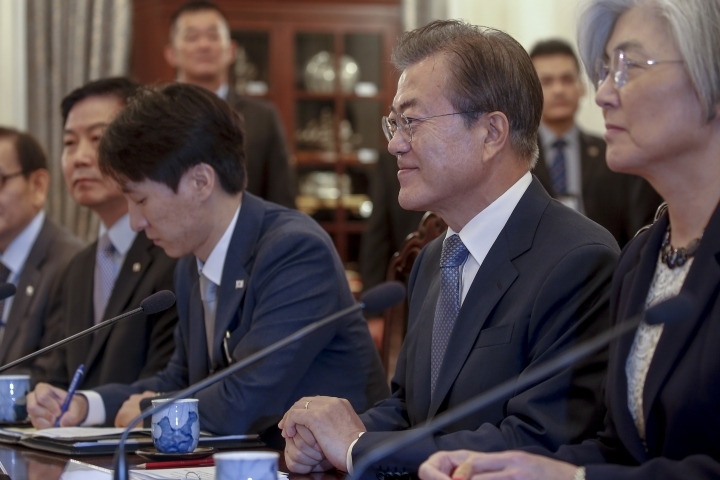 President Moon Jae-in says the two countries agreed to "invigorate mutual investment" by significantly increasing the trade volume, which is currently at $20 billion. 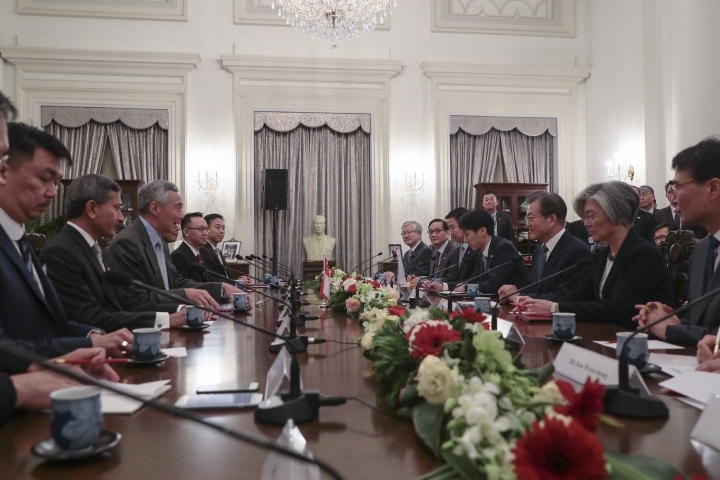 He says: "We will spare no effort to ensure that the companies of our two countries will be able to do joint projects and make joint inroads into third countries together." 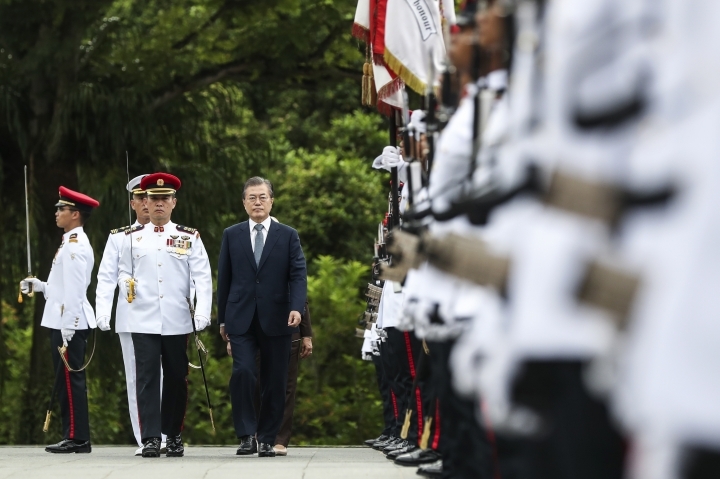 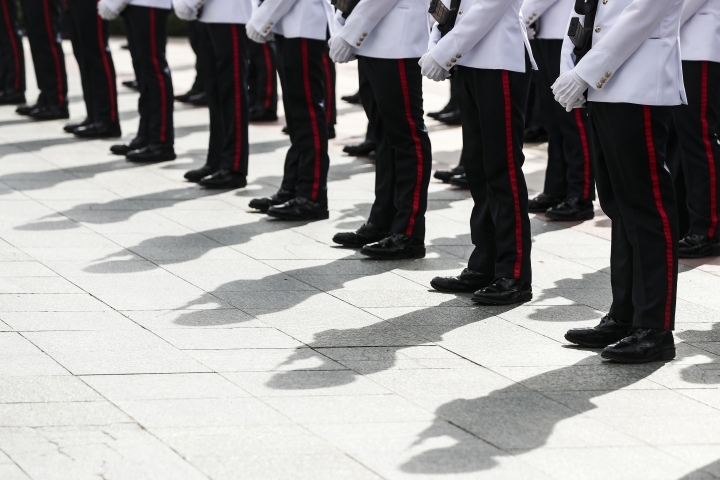 The push is in line with the country's "New Southern Policy," which aims to strengthen its relationships with the 10-member Association of Southeast Asian Nations.